In celebration of Chinese New Year which begins on February 3 and goes until February 18, I have a very special review and giveaway to share with you today. It’s for a product that I have tried before and always enjoy, but never connected it with this special day. I guess these sweet treats just fly off the shelf in the days and weeks leading up to Chinese New Year. Why I wondered? There’s two simple reasons. The first one is that malted milk is a flavour enjoyed by the Chinese people and the second is that the vibrant red packaging which symbolizes good fortune and joy. See you do learn something everyday! And if your curious, 2011 is the year of the Rabbit in Chinese culture. Have you tried Maltesers? If not, you need to because they are soooo yummy! I love the crunchy malt with the heavenly chocolate coating. They are just what I need to satisfy my chocolate craving. The center is actually honeycombed malt biscuit which is said to be so light that it floats on water. Hmmmm I’ll take their word for it because I ate all of mine already! 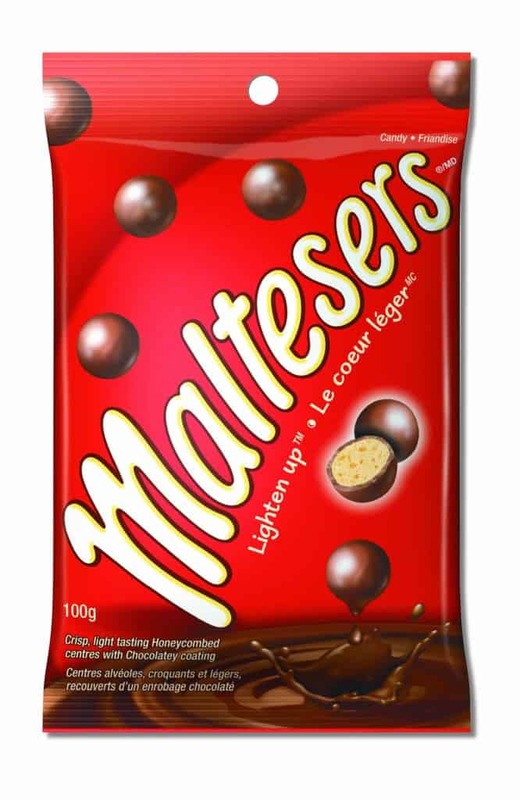 I don’t think there is anything else quite like Maltesers either and its treat that Canadians have been enjoying since 1936. Maltesers are available in 37g (SRP $1.49), 100g (SRP $3.59) and 165g (SRP $4.79) sizes at most major retailers across Canada, including grocery and convenience stores. I recommend buying a bag or two and trying them out even if you don’t celebrate Chinese New Year. I definitely will be getting more when I need a chocolate fix!